John “Turkey Creek Jack” Johnson (1852?-1887?) 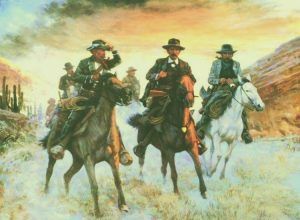 – Thought to have been a bookkeeper and lawyer in Missouri before he headed west, Johnson spent some time in Deadwood, South Dakota where he got into a gunfight with two men at 30 yards. Some say the men were his gold mining partners. Later, he was known to have been in Dodge City, Kansas, where he may have first made the acquaintance of Wyatt Earp. Next he turned up in Tombstone, Arizona, where he worked along side the Earps as a deputy marshal. After Morgan Earp was killed on March 18, 1882, Virgil and the Earp women, boarded a train, along with Morgan’s body, for California. Along the way, they were protected by Wyatt and his friends, including Jack Johnson. When they ran into Frank Stillwell, whom they suspected as being one of Morgan’s killers, in Tucson on March 20th. Stillwell’s bullet ridden body was found the next morning. 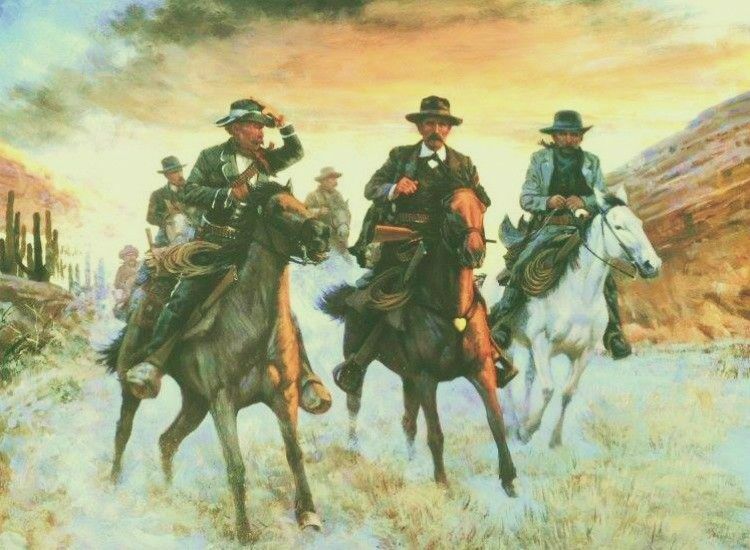 In the meantime, Johnson had returned with the others to Tombstone and the next day, joined by Texas Jack Vermillion, began the Earp Vendetta Ride. In the meantime, Johnson, along with Doc Holliday, Wyatt Earp, Warren Earp, and Sherman McMasters, were indicted in absentia for Stillwell’s killing. After the Earp Vendetta Ride, Johnson escaped first to Colorado before moving on to Texas and then Salt Lake City, Utah. He died in Salt Lake City in 1887 of tuberculosis.